We encourage you to spread the word about BuildingEnergy NYC to your colleagues, associates, and friends. You can use the images and/or text below to compose an email or social media post. Please contact Jenny Goldberg, Marketing Manager, with any questions or requests at jgoldberg@nesea.org or (413) 774-6051 ext. 34. Right click the banners below to save them to your desktop. We recommend using the left-hand image for emails and the right-hand image for social media posts. Scale changes are permitted, but all other modifications are prohibited. Follow NESEA on Facebook, Twitter, or LinkedIn to receive conference updates, and tag us in your posts. Attend the BuildingEnergy NYC Conference + Trade Show, NYC's premier event for professionals and practitioners in the fields of high-performance building, energy efficiency, and renewable energy. 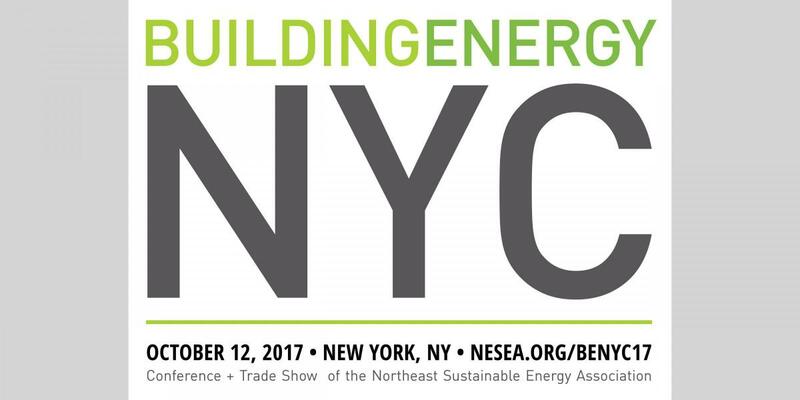 Hosted by the Northeast Sustainable Energy Association (NESEA), this year's event is on Thursday, October 12, 2017. Register at nesea.org/benyc17. The Northeast Sustainable Energy Association (NESEA) helps high-performance building and renewable energy professionals improve their practices by learning from and networking with each other. Founded in 1974, it is a member-driven 501(c)(3) nonprofit organization dedicated to advancing the adoption of sustainable energy practices in the built environment. Learn more at nesea.org. The logo below is NESEA's official logo and may be used to help promote NESEA as an organization. Scale changes are permitted, but all other modifications are prohibited.